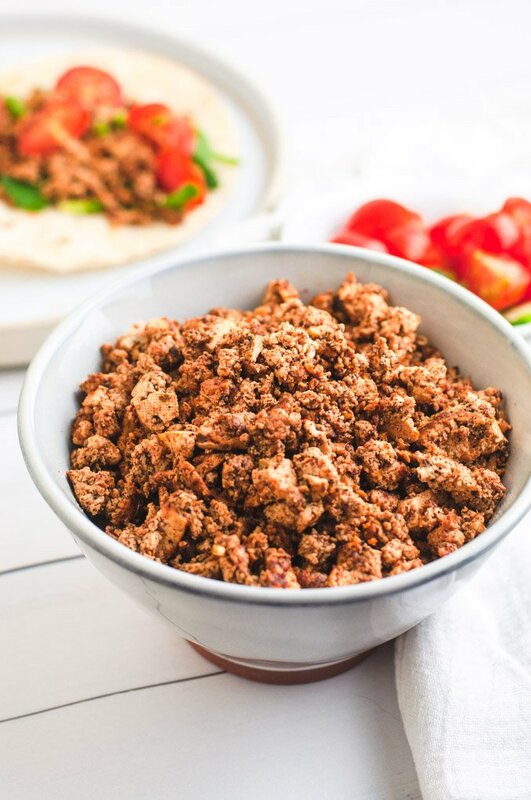 This vegan chorizo recipe is made with crumbled tofu and a flavorful Mexican-style marinade. 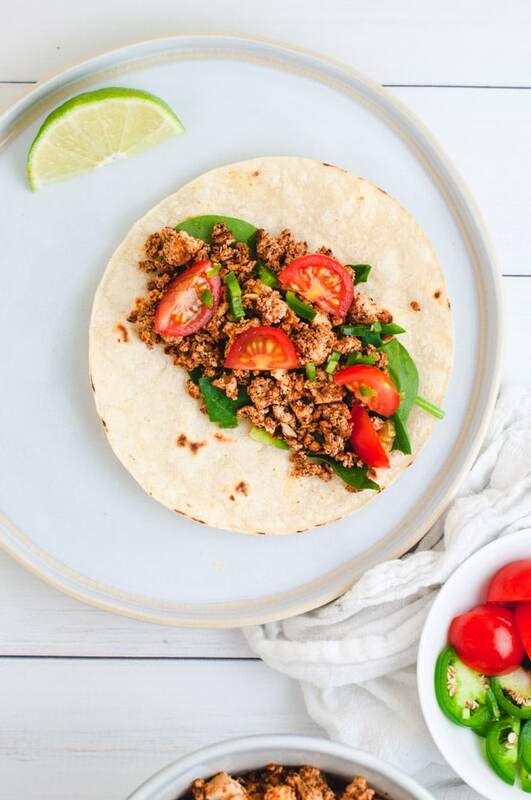 Enjoy in tacos for breakfast, lunch or dinner! 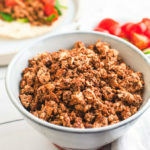 Tofu + chorizo seasonings = soyrizo! 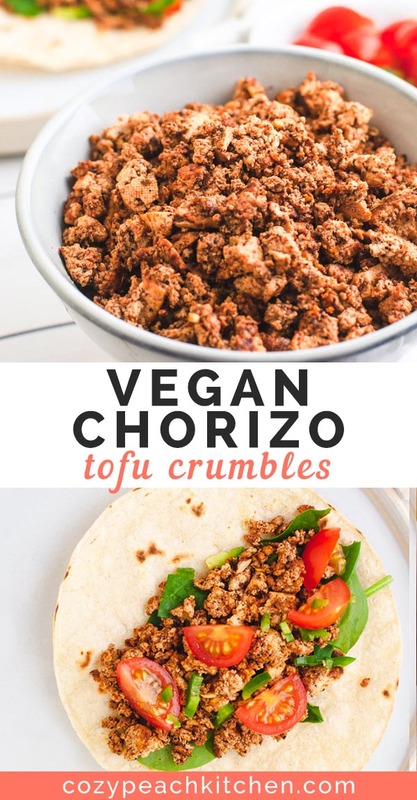 These vegan tofu crumbles are inspired by Trader Joe’s soyrizo, one of my favorite TJ’s products. I like to saute it up in a cast iron pan with some peppers and onions and load it up into a burrito for an easy weekend breakfast. In an effort to reduce my processed soy intake, I set out on the task of making homemade vegan chorizo. After a few (more like 10) attempts, I finally landed on this vegan chorizo recipe. 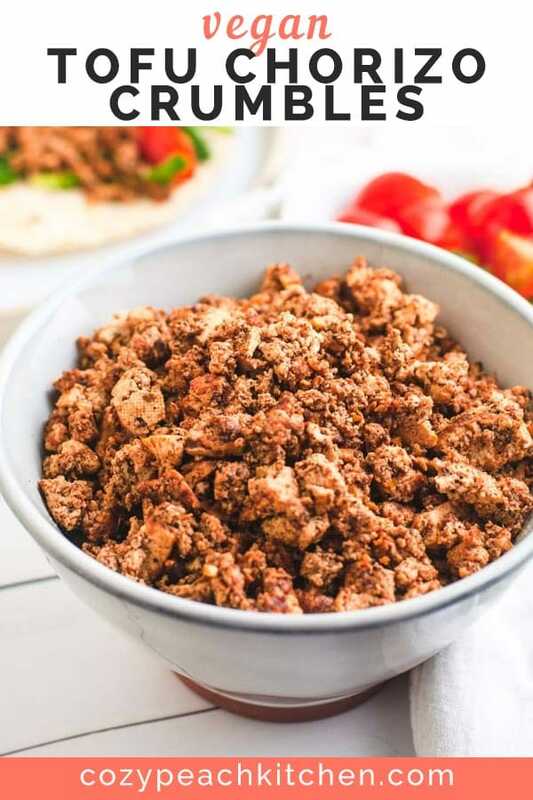 Crumbled extra firm tofu is pressed, then marinated for 30 minutes in a Mexican-style chorizo marinade. The marinade is packed with flavorful spices like ancho chili powder and paprika, and is complete with that classic vinegar-y flavor. Use these tofu crumbles in burritos, tacos, soups, or anywhere else that you’d like a punch of flavor. This post contains Amazon affiliate links. As an Amazon associate I earn from qualifying purchases; read my disclaimer policy for more information. 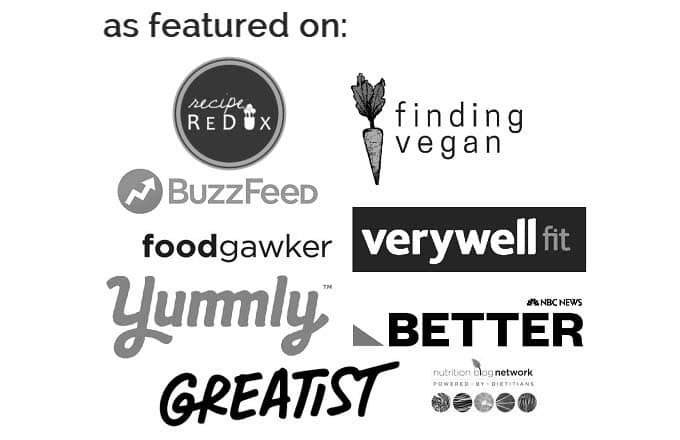 What ingredients are used to make vegan chorizo? Traditional pork chorizo is high-fat, high-sodium and high-flavor, thanks to a blend of smokey and spicy seasonings. Chorizo spices. Ancho chili powder, cumin, ground paprika, oregano, coriander, cinnamon, cloves, salt and sugar. Ground ancho chili powder can be found in the international section at large grocery stores or at your local Mexican or international grocery store. Apple cider vinegar. 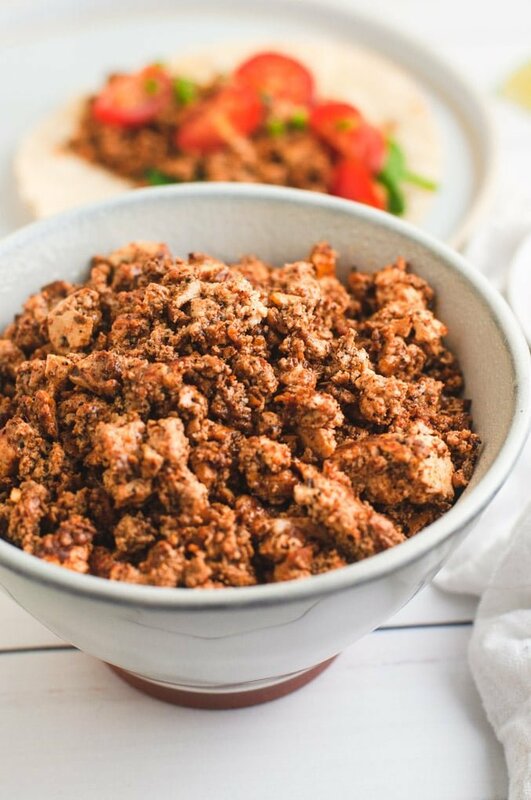 Acidic and slightly sweet, apple cider vinegar gives these tofu crumbles that classic chorizo tang. Olive oil. Chorizo uses high-fat meat, so to veganize this recipe you’ll use olive oil for that high-fat mouthfeel. Soy sauce. Cooked meat has an umami (savory) flavor that tofu doesn’t have; to emulate this we’ll use soy sauce, a true-blue umami ingredient! Extra firm tofu. Crumbled tofu is juicy and lightly browned in a hot skillet skillet. 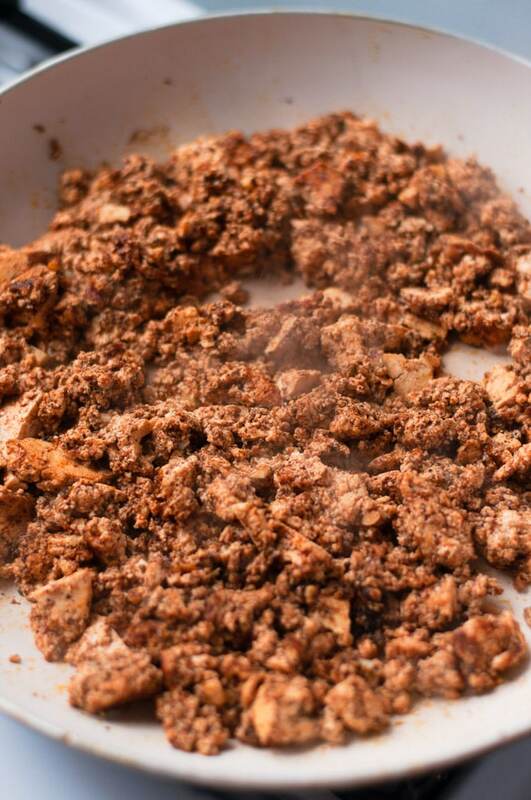 Ground chorizo is usually pan-fried and browned in a skillet, so that’s the method we’ll use for tofu chorizo. Press the tofu for 15 minutes. To do this, place the tofu between two plates. Weigh the top plate down with a can or with a bag of dried beans; you just need enough weight so that you can see liquid being squeezed out of the tofu. Alternately, use a tofu press. After pressing, use a fork or your fingers to crumble the tofu into a ground consistency. Make the marinade by combining the spices, apple cider vinegar, olive oil, soy sauce and crumbled tofu. Cover and let marinate for at least 30 minutes, or let rest overnight for ultimate flavor! Heat a large skillet over high heat. Add the tofu with the marinade. Cook for 5 minutes, stirring to brown evenly. Reduce the heat to medium and cook for 5 minutes more, until the tofu is firm but juicy. How can I use vegan chorizo? Let me know how you plan on using these tofu crumbles down in the comments! 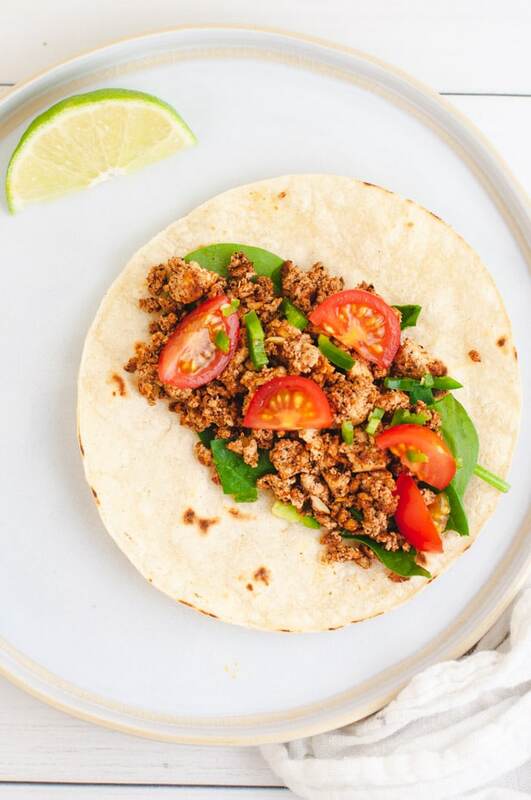 This vegan version of Mexican chorizo is made with crumbled extra-firm tofu and a tangy, flavorful marinade. Press the tofu for 15 minutes. If you don't have a tofu press, place the tofu between two plates. Place something heavy on the top plate (like a can of beans or bag of dried beans). I avoid using breakable items to weigh the tofu down because they may fall off during pressing. Mix together the remaining ingredients (everything but the tofu) in a medium mixing bowl or shallow baking dish. Using your fingers or a fork, crumble the pressed tofu into the marinade. Coat thoroughly. Cover and let marinate in the fridge for at least 30 minutes. The longer the marination, the more flavorful the end result. Heat a large skillet or cast iron over high heat. Add the tofu and marinade. Let heat for 5 minutes, stirring to evenly brown. Lower the heat to medium. Stir the tofu occasionally to cook evenly. The chorizo is ready when it is firm but still juicy, about 5 minutes. Enjoy in tacos, burrito bowls, or as a salad topping. Cover and refrigerate for up to 3 days.